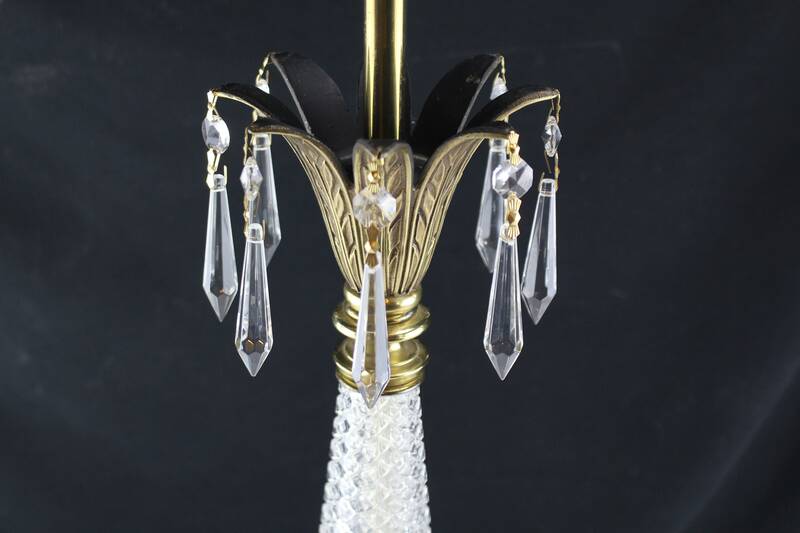 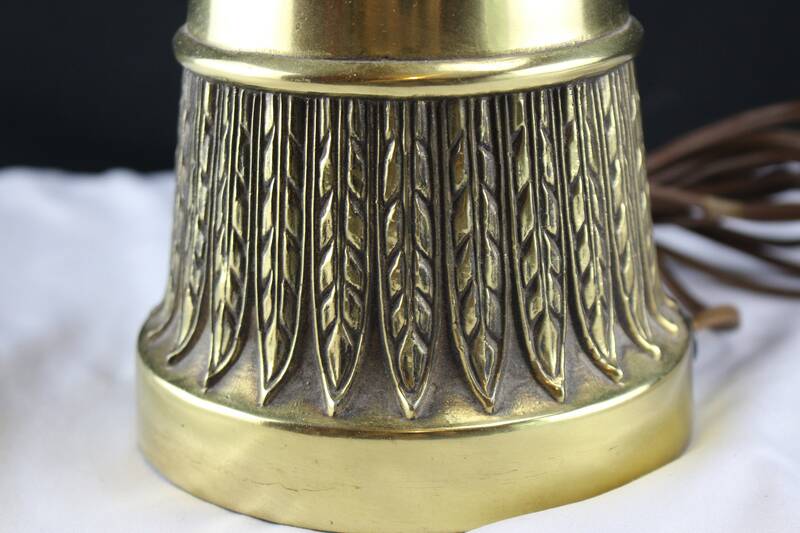 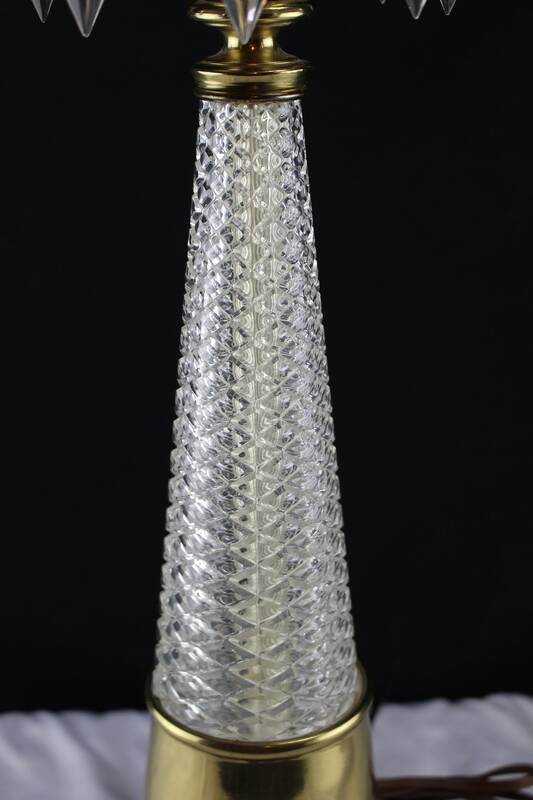 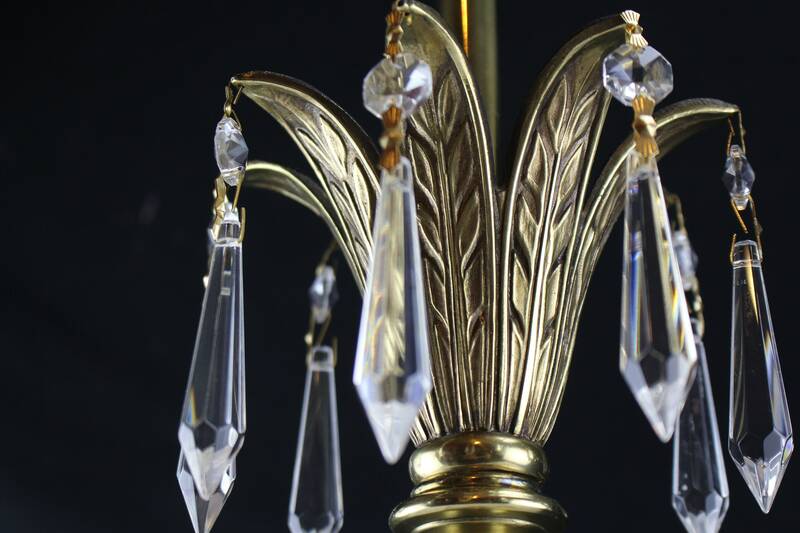 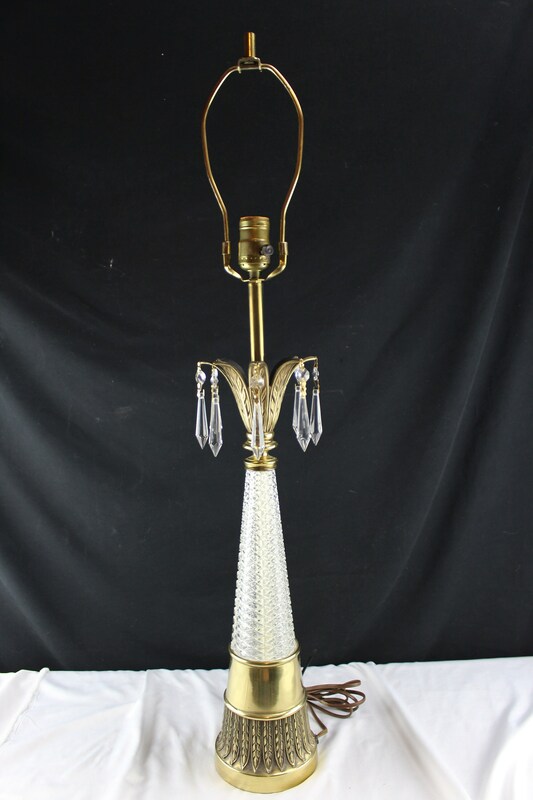 High quality and high fashion crystal and brass table lamp, The brass work all has a feather design on it top and bottom the top looks like a pineapple with Icicle Pendants hanging off the tips. 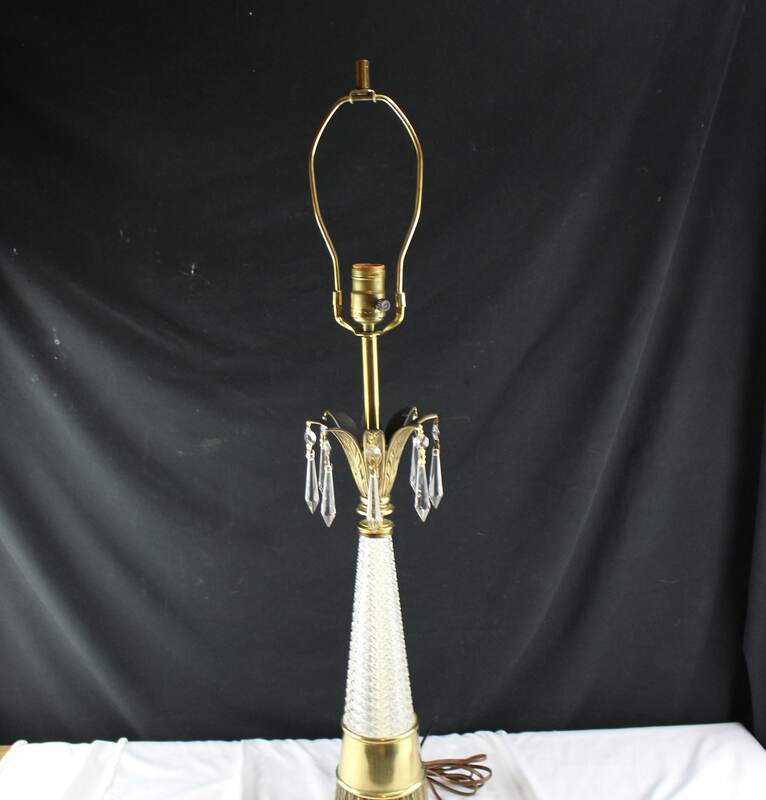 What a great look it has stands 32" high with the hoop it has now 5" across the bottom nice slender look. 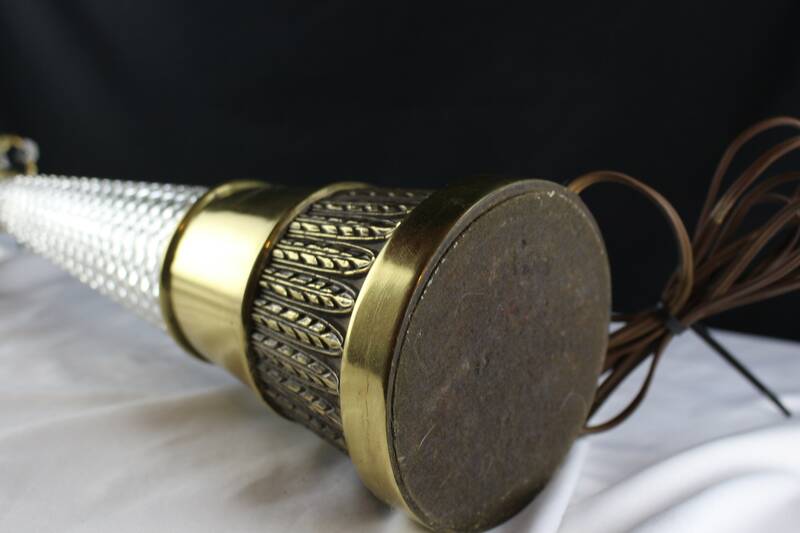 and the cord, switch all in good working condition.